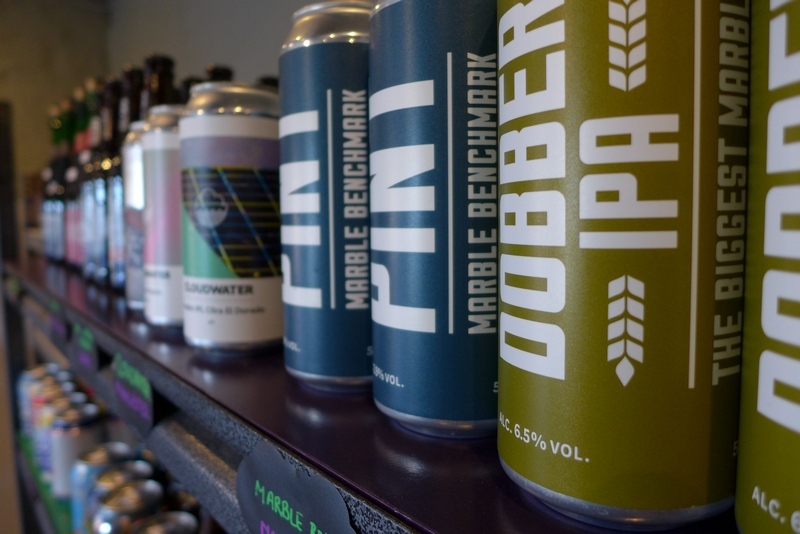 Their selection is excellent, including breweries such as Marble, Cloudwater, Tiny Rebel, Red Willow, and many others. There were loads of beers there that I've not 'baron rated' yet so I expect I'll be visiting from time to time. They are the only stockists of Clay Brow ales, and are always looking out for new and exciting beers to stock. So why the name CatHop? Well, they are definitely cat lovers, with photos of their cats stuck to the side of the till and various other cat references dotted around the shop. Originally planned to be called HopCat until they found that name was already claimed by a US company so a quick swap of the words and they were sorted. They are currently open Thursday to Sunday (11am-6pm Thursday/Friday, 11am-5pm Saturday/Sunday), with the rest of the week reserved for driving around collecting beers, and hopefully some well earned time off too. 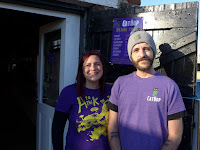 I'm really looking forward to seeing how this beer shop develops, their current range is excellent and they are two of the nicest people you could meet!